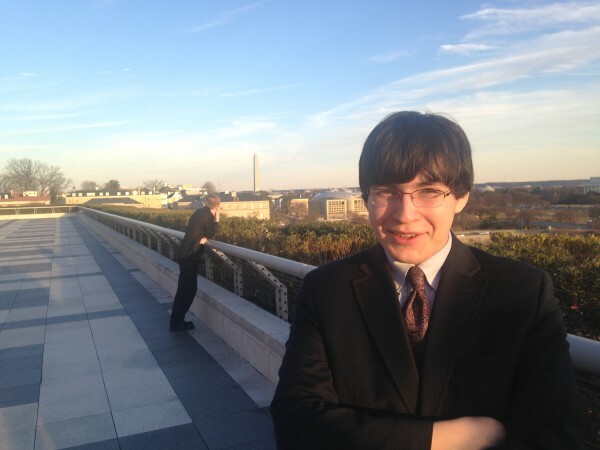 Andy Sandweiss is pictured atop the Kennedy Center in Washington, D.C., earlier this year following a group meeting with President Barack Obama as part of the 2015 United States Senate Youth Program. I agree. It is our youth upon whom our country’s future is built, for without them there is no future at all. While the general education of U.S. students is better than average, we do lack in a major subject: public service. When it comes to who will run our country in the coming decades, we should better hope that there are youngsters around these days still willing to participate in the United States’ great tradition of public service. That is why it was so immediately frightening to read the recent opinion article on our youth’s disturbing lack of faith in public service. Citing a recent book by Jennifer Lawless of American University and Richard Fox of Loyola Marymount University, Bloomberg View columnist Peter Orszag reported that today’s students have a mass deficiency of interest in our nation’s political system. Lawless and Fox’s study also found that “almost 90 percent said they wouldn’t even consider” running for office. It truly is a grim picture, but there is hope. Fortunately, the 10 percent is striving to change the other 90 percent’s image of the political process, specifically the notion of students finding that they are “not open to seeking or holding positions of political power.” That is why only a few years ago, a group of engaged youth formulated the idea for a Presidential Youth Council. If passed by Congress, the Presidential Youth Council would consist of 24 people, all aptly under the age of 24, selected to form a privately funded council to advise the president of the United States on all affairs concerning the nation’s youth. 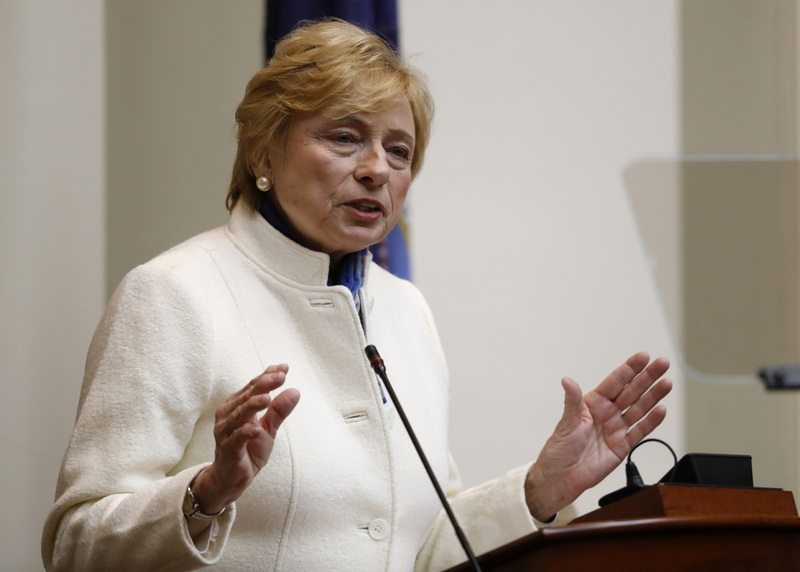 The goal of the program is to encourage students and youth in general to engage in the political process by offering “positions of political power.” The bill with bipartisan support, introduced into the House of Representatives on April 23 ( HJ Resolution 47), would reinvigorate our nation’s youth and enable us, the students of this country, to change the grim outlook set for our generation. It’s understandable why people don’t want to get involved in politics. The intense polarization on the federal and state levels has stained many noble intentions for public service. This can be changed. That’s why all youth in the state of Maine should support the creation of a Presidential Youth Council. Such an organization would enable the youth to gain a voice at the federal level and would let the students of America know that they can and will be heard. This week is “Call Your Representative Week,” when students, parents and other adults alike should call their congressmen and congresswomen to encourage them to support the creation of a Presidential Youth Council. Together, we must speak up for our voices to be heard, for if we are to remain silent, then we accept the fate presented to us by the study. We have an opportunity to communicate our issues to the most powerful people in the nation, to be given a voice to inspire our youth. We must seize this opportunity and call our representatives, urging them to support the Campaign for a Presidential Youth Council. Andrew Sandweiss is a senior at Bangor High School, president of the student council and a 2015 Maine delegate to the United States Senate Youth Program. He is Maine state director for the Campaign for a Presidential Youth Council. More information is available at www.presidentialyouthcouncil.org.